Peter Randolph (1825-1897) was a significant author of the Civil War period, whose writing presented Americans with an objective, unbiased view of the culturally accepted, but poorly known institution of chattel slavery. Randolph was born in Virginia as a slave, but through great perseverance, became educated, cultured, socially active and respected. His memoir From Slave Cabin to Pulpit reflects on the turbulent changes that occurred in his life, but the themes are presented with simplicity and unpretentiousness. Randolph was freed after his owner's death through the stipulations of the latter's Will. A substantial sum of money was provided to the slaves of the estate, so that they could make a journey North, if they chose to do so. Although legally permissible, such freeing of slaves carried social penalties, for the family who issued such "private" emancipation almost invariably fell into disrepute. Although hardly a romantic, Randolph wrote with sincerity about his hopes for the future, and he had a dream that all oppressed peoples would see their burden lifted, just as he had seen it happen in his own life. 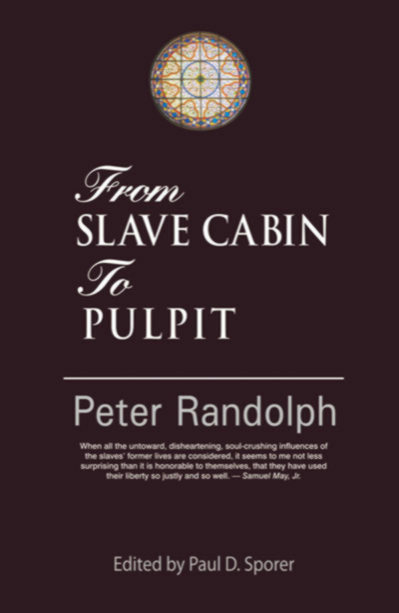 From Slave Cabin to Pulpit is a unique book that examines the complexities and contradictions of life in America, but also puts forward the idea that through courage and determination, considerable improvement can be brought to society.